Surfly is an incredibly unique web sharing service that enables remote collaboration by showing others what you see in your web browser. This is similar to screen sharing, but it is a bit different. The company calls its product Web sharing. Web sharing offers customer support or technical support staff a powerful tool to assist users of web based applications. The Surfly team was kind enough to answer a few questions for us. 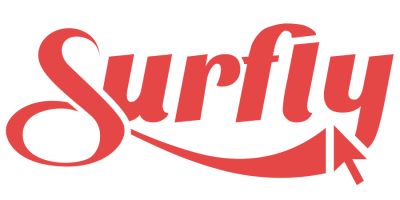 Surfly was launched in October 2013 during TechCrunch Disrupt Europe in Berlin. Surfly is a web sharing application that allows multiple users to surf together on the web. Using Surfly is easy: no software or plug-ins needed. And thanks to an advanced approach, the quality of the website in your session is identical to that of the original website, unlike the blurry text that can result from screen sharing. Why did you guys build Surfly? We enable remote collaboration by showing others what you see in your web browser. With Surfly, customer service agents can get a real-time look at the customer’s screen to provide improved customer support. Or companies can use Surfly to communicate remotely with clients and colleagues. You can share your browser tab when you want to book a trip together with friends: Surfly makes it easy to discuss the route to the destination, decide where to stop on the way and compare hotel options. What was the “ah ha” moment? The idea of Surfly was born when founder Nicholas Piël was working at a customer support desk. Explaining somebody through the phone how something works was frustrating sometimes. Web sharing already existed, but it always meant that you had to install special software or plugins. With Surfly, no software or plugins are needed. It works in your web browser. Nicholas Piël studied Artificial Intelligence and came with the idea of Surfly while he was working at a customer support desk. Nicholas found his business partner, Denis Bilenko, in Siberia. Denis is an experienced programmer who had the right knowledge to finish the product. At this moment Surfly has over 10.000 registered users who’ve created over 60.000 sessions. Just recently we released the API at the SXSW Accelerator. Multiple companies are using our API to offer web sharing technology to their clients. And we are currently looking for more partners that want to enable this functionality in their own product or website.